As chess products manufacturer, we have color Chess Pieces in a variety of fun colors. The color chess aimed to escape you from traditional and standard chess pieces which often apply in white and black color. By the color chess present, you can get new nuance in your chess game. You just need to choose what colors that you like and order it to us. We can make it as your order. As an example, in the picture above is one of our color chess piece. 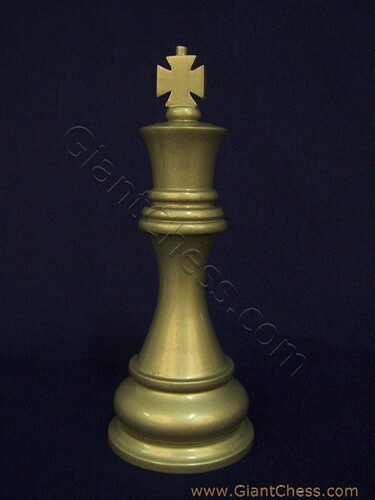 A silver King chess which has made from best quality of Teak wood and carved by our talented craftsman. Polished in silver color with glossy touch, make it looks elegant and beautiful. You can also use for your house decoration, because we also provide the giant silver chess that has suited with furniture decoration size so that it will match with you other furniture.